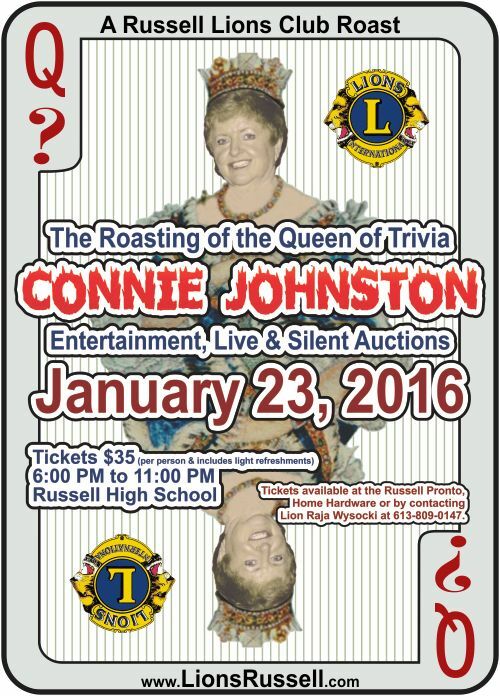 The Russell Lions Club and event chair Lion Sylvia Smith wish to thank all who participated in our Roasting of Trivia Queen Connie Johnston! 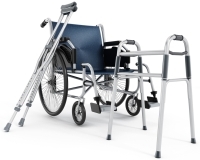 Our thanks is also extended to the many contributions we've received from people, businesses and community groups. 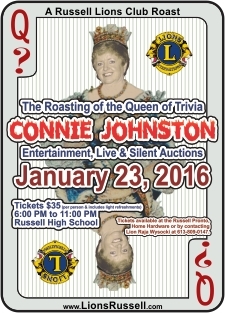 Without you, events such as these wouldn’t be the success that they are. 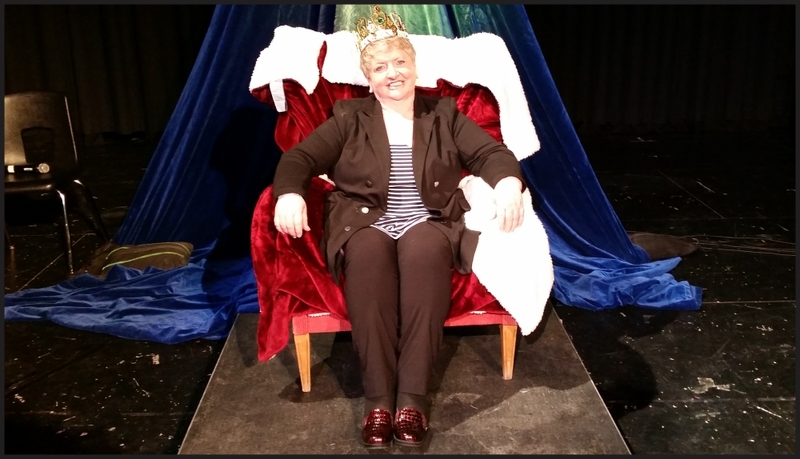 In the coming days, we will be uploading pictures and videos from the evening. They will be viewable on Facebook, YouTube (click here to view all videos on our Channel) and everything will be collected here. Feel free to share them far and wide with your family and friends. 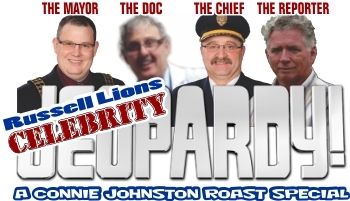 You will be able to see the funny Celebrity Jeopardy featuring Mayor Pierre Leroux, Fire Chief Bruce Armstrong, Doctor Gerry Heymans and journalist Tom Van Dusen. 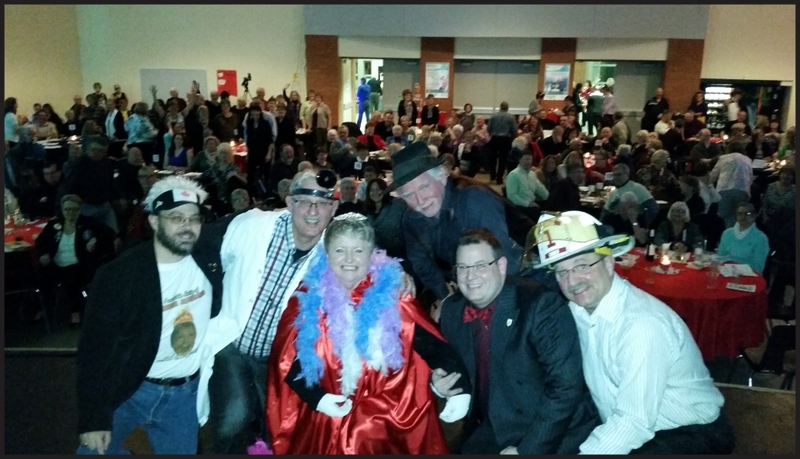 This motley crew is aptly presided over by host Lion Marc Bourque (the ‘Alex Trebek’ of the Celebrity Jeopardy segment). 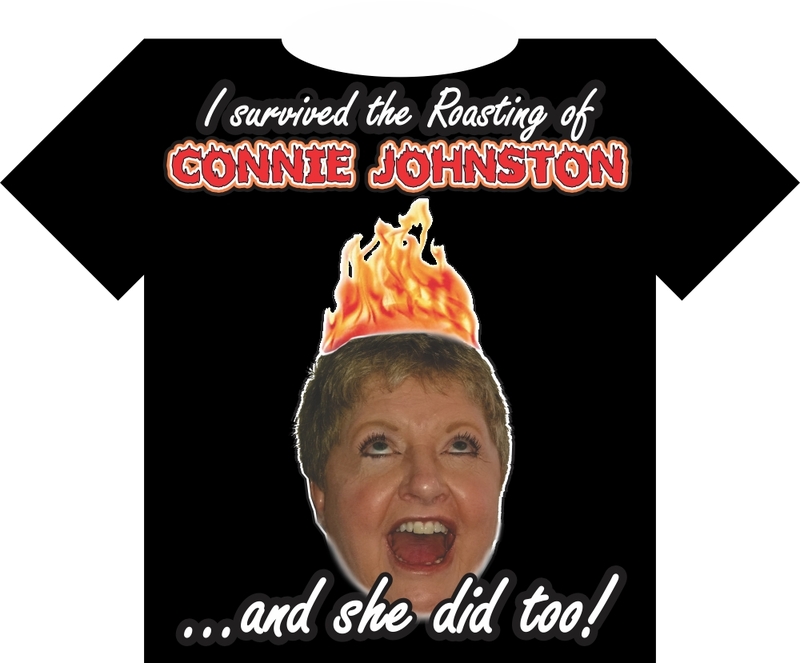 Experience the various roasters like Lion Henry Staal, Lindley McPhail, Marie-Claire Ivanski, Councillor Cindy Saucier and Doug Anthony’s alter Ego ‘Eddie ’ each taking turns putting our Trivia Queen Connie Johnston on the hot seat! 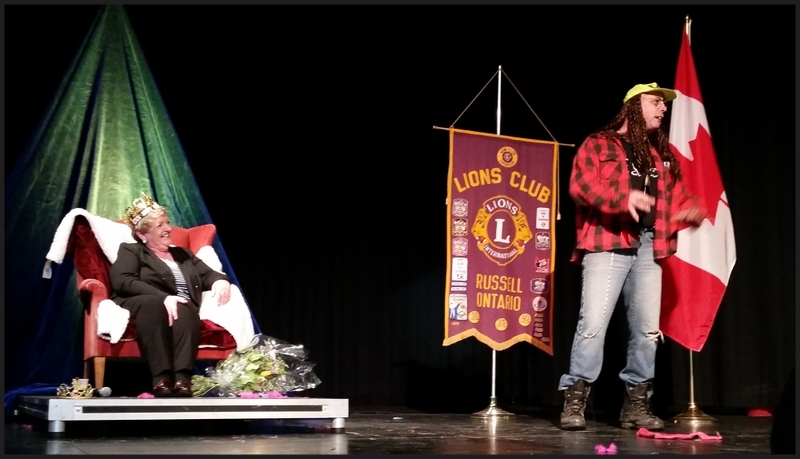 A big “thank you” also goes to the MC for the evening Lion Dave Voisey (of the Barrhaven Lions Club). 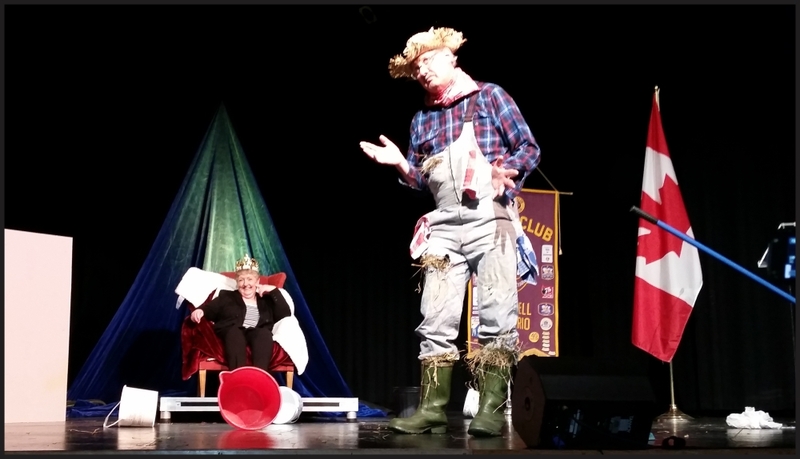 Superbly helping out using his wit to provide the perfect “bumper” between the comedic segments, he kept the crowd in stitches the whole evening. 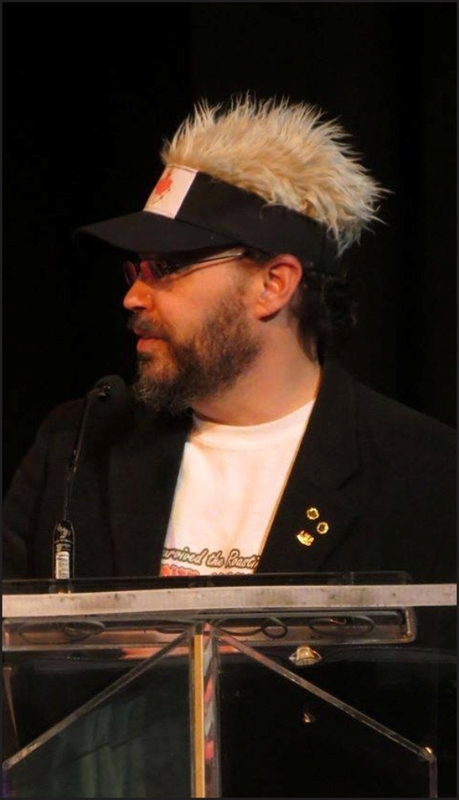 The evening was rounded out by a “lively” live auction with Stewart James where, yet again, a coconut cream pie was auctioned off for over a thousand dollars and a t-shirt went for $175… all for a good cause!